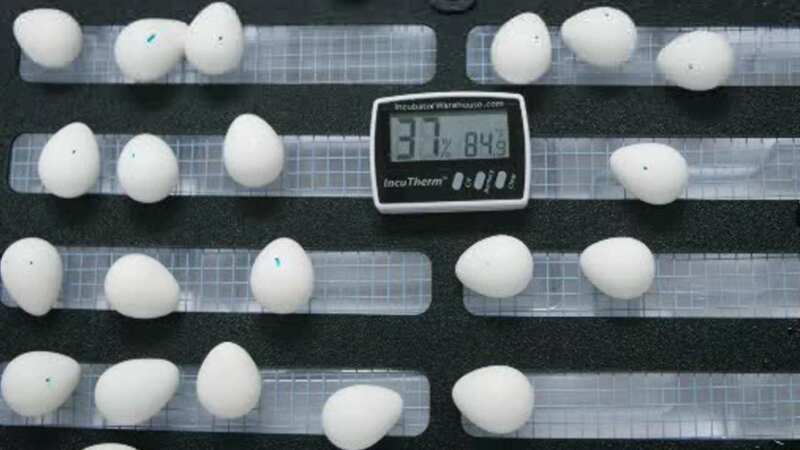 NORTH HEMPSTEAD, Long Island (WABC) -- The Town of North Hempstead is incubating Northern Bobwhite Quail eggs in their fight against ticks. The eggs are being incubated at the North Hempstead TV Studio in Westbury. The Northern Bobwhite Quail project is a pilot program designed by Ranger Eric Powers, the host of the NHTV's nature show "Off the Trail" and assistance from Town employees. The native birds will be released in the area in order to effectively reduce the numbers of ticks naturally, instead of using toxic pesticides.